Doctor Cthulhu - Fenric / Hastur The Unspeakable | Warped Factor - Words in the Key of Geek. Christopher Morley hears the call of Cthulhu in The Curse Of Fenric. In a sort of continuation of the Nordic theme touched upon when we looked into the Gods of Ragnarok, we move on towards Fenric/Hastur the Unspeakable & his curse! "From where will a sun come into the smooth heaven when Fenrir has assailed this one?" The answer won't be at Maiden's Point in 1943, it seems. For that's where the Seventh Doctor & Ace find themselves. The wolf shall rise again! And he'll play quite a game to do so, which should be easy enough to follow if you'd noticed the chessboard in Lady Peinforte's study during Silver Nemesis. His gameplan is fairly simple- selected individuals are made his 'Wolves' thanks to their Viking ancestry. A group of the helmeted Scandinavians buried Fenric's ashes on the future site of what will be St Jude's Church ( actually St Laurence Church in Kent) , & now he's back- free from his prison so to speak. "They're suspicious people in these parts. Too afraid of the old Viking curse to break in here." "They say evil was once buried here. [the lovely old church having been] built on old Viking graves"
Fenric's taint on history stretches back even further than that, mind! In his original form he's said to have had a thousand-limbed body that stretched across multiple dimensions according to Gods & Monsters, carrying something of a fearsome reputation among his fellow Old Ones. In the process of seeking Weyland's shield (created by the Old One of the same name) their fellows championed its creator in a game against the one who sought it for its power to reshape/destroy reality itself. "As Heinrich Himmler was Hitler’s right-hand man, he had the ability to create government departments as he saw fit, and one such department that resulted was the Ahnenerbe, otherwise known as the Ancestral Heritage Research and Teaching Organization. Sprouting from Himmler’s love of Norse paganism, it began as a small organization in 1935 with the purpose of researching the heritage of the German people and educating the German people of the Aryan superiority. Over time, it evolved to encompass over fifty departments and an annual budget of 1 million Reichsmarks, allowing both Himmler to realize his academic and religious obsessions in a scholarly manner and the Nazi government to overtake and control academia. Although the Ahnenerbe did conduct legitimate research, it had a poor scholarly reputation; one researcher, Ernst Schafer, remarked that few researchers had ever read scholarly books on what they were researching, instead deriving conclusions based on occultist beliefs. Many of its researchers genuinely believed in and researched incredible ideas, such as leading three expeditions to Tibet, supposedly because Tibet had both the last Aryans and an underground world ruled by priests. 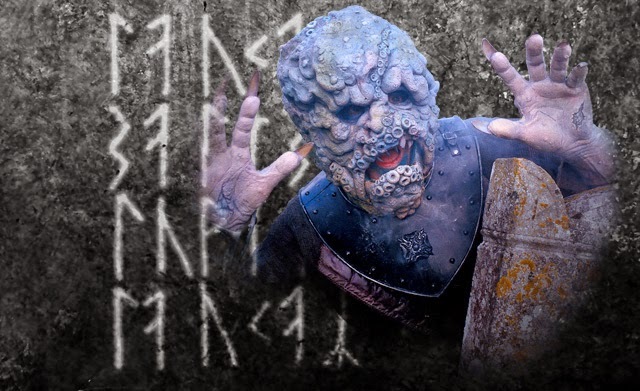 Particular focus was given to the runes and Germanic lore, which the Ahnenerbe believed to hold special significance if only interpreted correctly." The Doctor has of course seen this at first hand during his Third incarnation in The Spear Of Destiny, the Spear itself wielded as the Holy Lance by the Roman centurion Longinus- who pierced Christ's side with it at the Crucifixion- Odin, who knew it as Gungnir while it helped him rise from mortal King of Sweden to an almost godlike figure, & Hitler, who craved it for its mythical power. A power which is explained as belonging to a Physical Temporal Nexus, an object which is able to ally itself to the mind of whoever wields it. To help himself decipher the runes, Judson has built the ULTIMA machine, similar to the Enigma developed by Alan Turing, whom the Eighth Doctor will meet in The Turing Test, at Bletchley Park! A question worth asking, the Doctor might agree, having come across several such devices from WOTAN to the Keller Machine in his past! 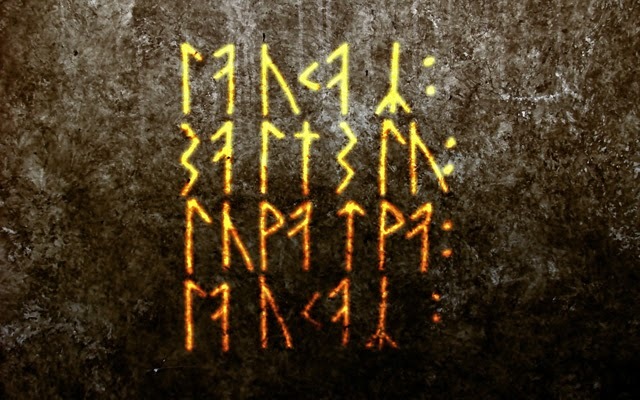 Eventually the runes are translated- time for all hell to break loose! DOCTOR: Doctor Judson? Something here that might interest you. Further confirmation arrives when Commander Millington reads on. "I warn of the day when the earth shall fall asunder, and all of heaven too. The Wolves of Fenric shall return for their treasure, and then shall the dark evil rule eternally. This is it. The final battle between the gods and the beasts. It's now, Judson. The Curse of Fenric." We, though, shall be heeding the Call Of Cthulhu!